Why these 3 teams do not deserve the #1 pick and do not deserve Zion Williamson. Everyone leaves them. THEY LOST LEBRON JAMES! The Cavs are such a bad franchise that Lebron James left his hometown team. TWICE! 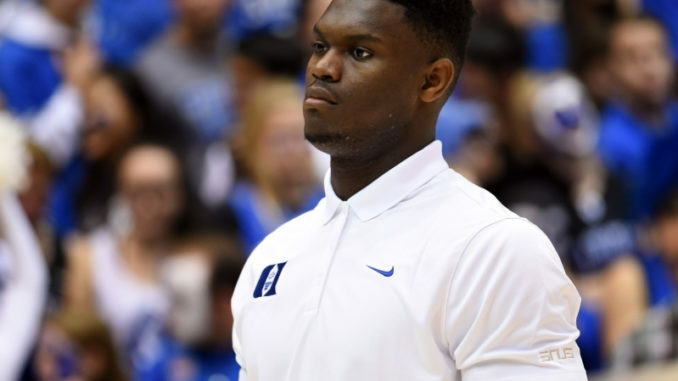 If the hometown, golden boy could leave (TWICE), obviously Zion Williamson will leave the first chance he gets. Since Lebron left the first time in 2014, Cleveland has picked #1 a total of 3 times. They took Kyrie Irving in 2011 and later traded him to Boston. They drafted Anthony Bennett in 2013 arguably the worst #1 pick of all-time and he played just 52 games in Cleveland. And a year later they drafted Andrew Wiggins, who never played a game for them, he was traded for Kevin Love. Disfunction is the best word to use to describe the Bulls. They fired Tom Thibedeau after 5 seasons, in which Bulls made playoffs every year. In 2015 they won 50 games and made conference semifinals and he was still fired. Fred Hoiberg was fired after three plus years – year 1 he failed to make playoffs, despite going 42-40. Year 2 they snuck in as the 8th seed and then the rebuild began. And yet, Hoiberg didn’t win enough with a rebuilding team. The rebuild included giving Jabari Parker (essentially) a one-year $20 million contract. That’s not how you rebuild. They later traded him to Wizards for Otto Porter’s enormous contract, impacting future cap space. It’s been over 20 years since they last won the NBA title with Michael Jordan. What makes anyone think they won’t just waste the next 20 years with Zion Williamson. Devin Booker is in his 4th season in Phoenix. They have won 23, 24, 21, and currently 17 years. Does that sound like a team deserving of a potential generational superstar? In Booker’s 4 years, the Suns have had 4 head coaches (Jeff Hornacek, Earl Watson, Jay Triano, Igor Kokoskov). There are rumors they might fire Kokoskov after 1 year. And who knows – maybe if the Suns pick first they will trade down or take Ja Morant (PG is a major, major need). In 2018, they had the #1 pick and decided that drafting Deandre Ayton (who is having a good rookie season) was a better idea than taking Luka Doncic or Trae Young. It wasn’t.